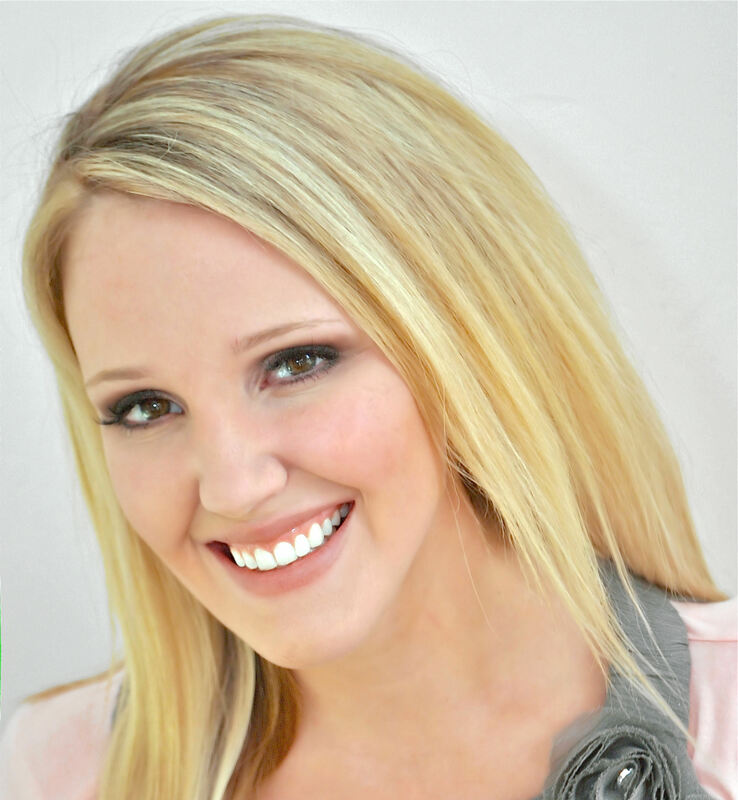 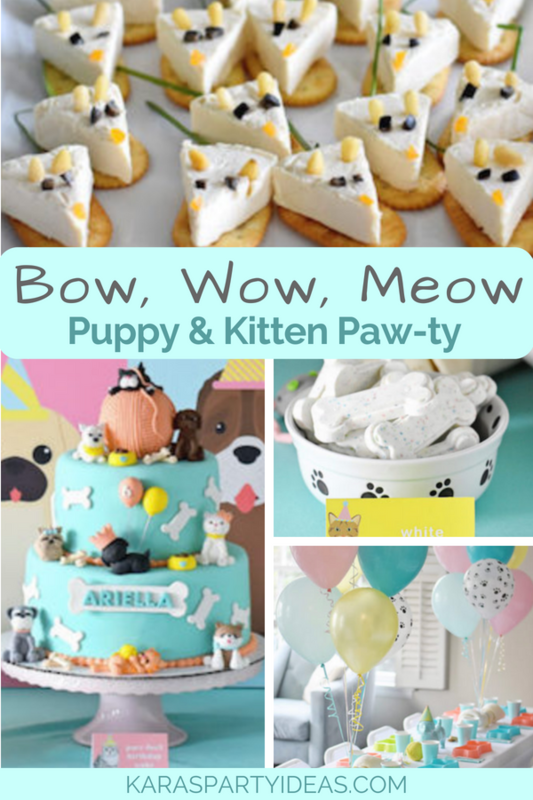 Bark, hiss, drool and scratch, this Bow, Wow, Meow Puppy and Kitten Paw-ty by Emily Klaparda of Emily Entertains, out of LA, California, has got your back! 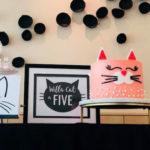 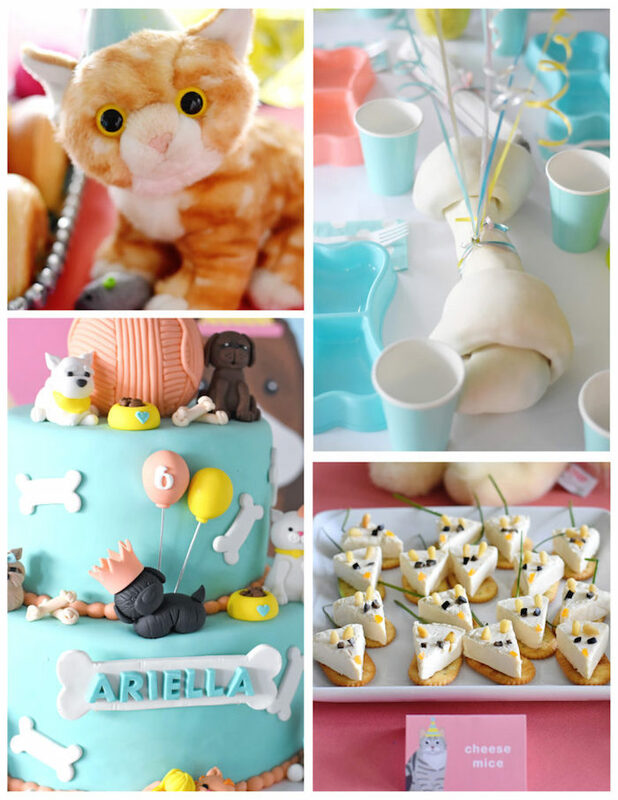 Rolling with details, sure to make you purr, this darling celebration is a must see for all animal lovers! 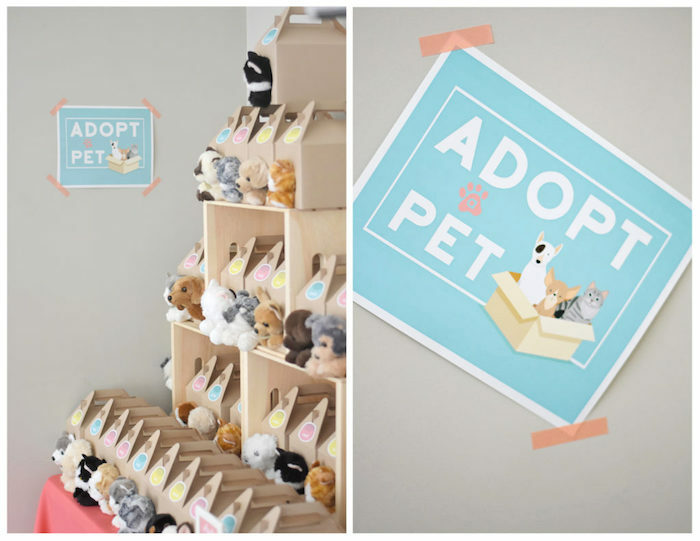 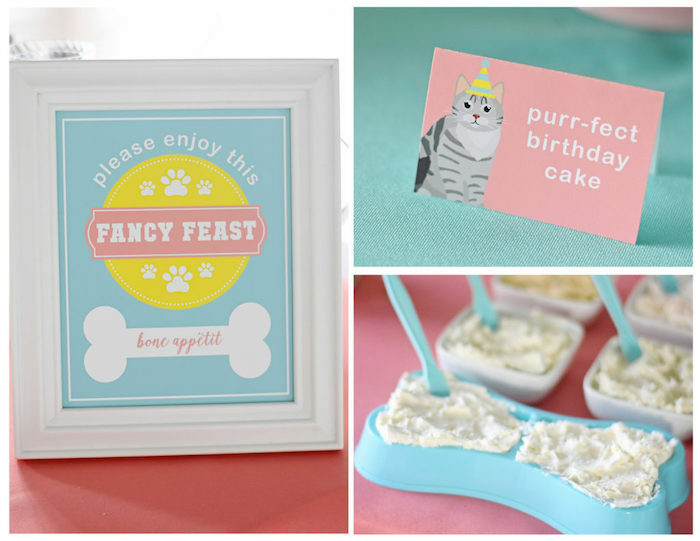 And Cute Puppy + Kitten Party Signage! 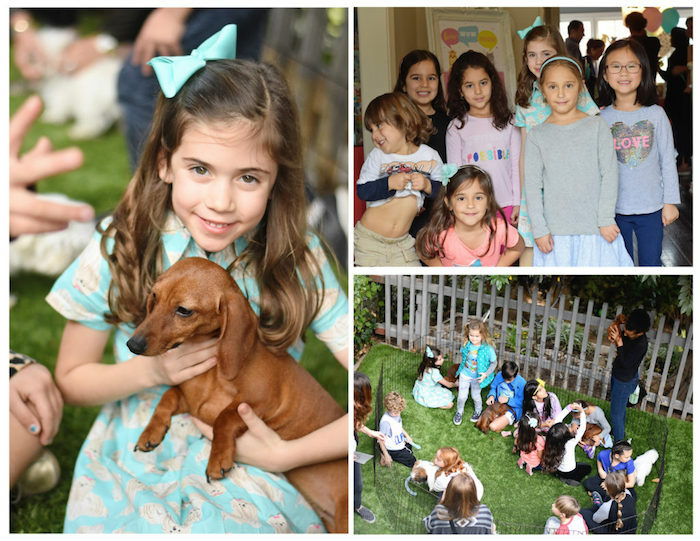 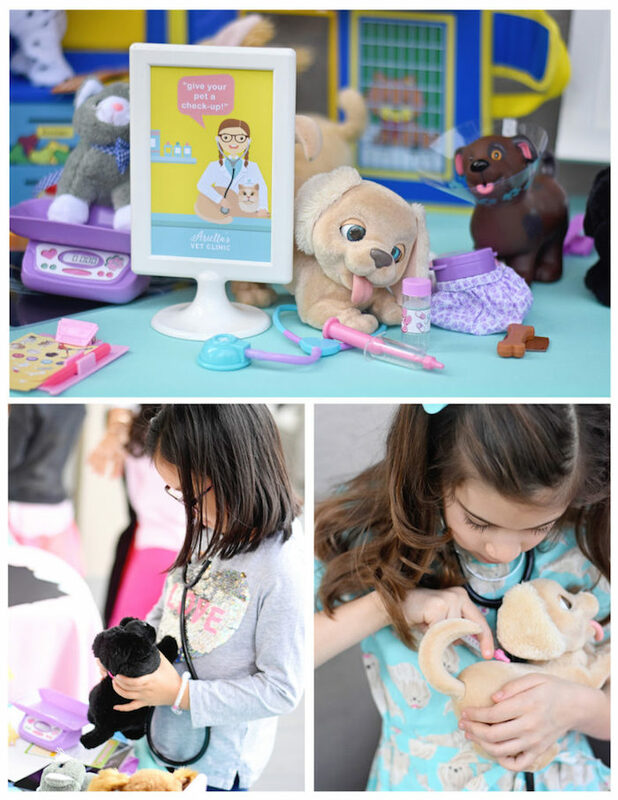 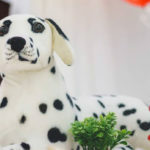 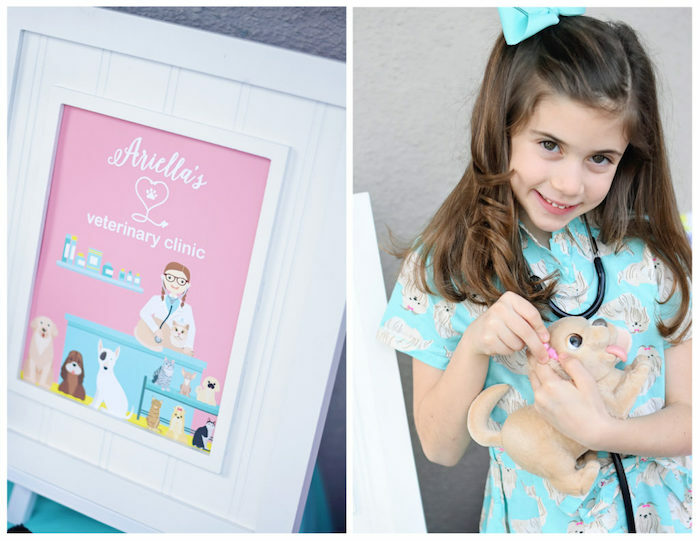 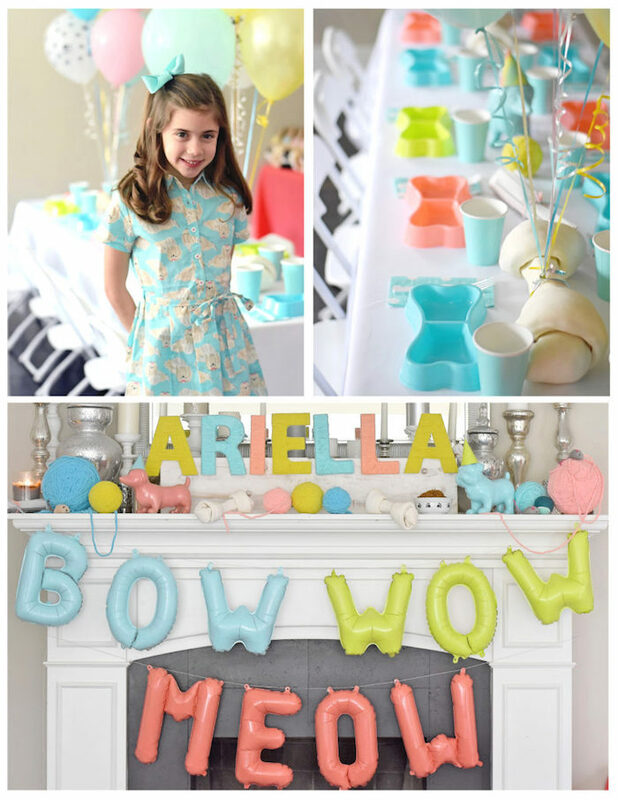 “For her 6th birthday, my daughter Ariella chose a “Puppy and Kitten” theme because she was dying to have a pet of her own. 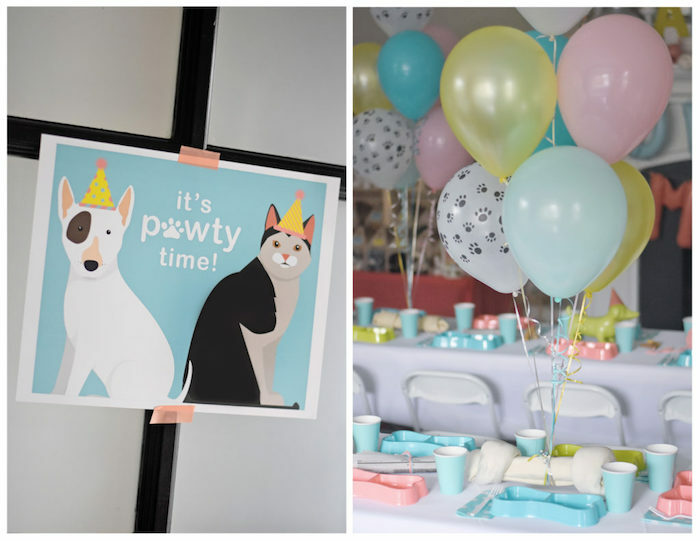 As a compromise, I suggested a Puppy and Kitten themed party in which the pets could go home at the end of the day, but that she could still get cuddle time with the little cuties! 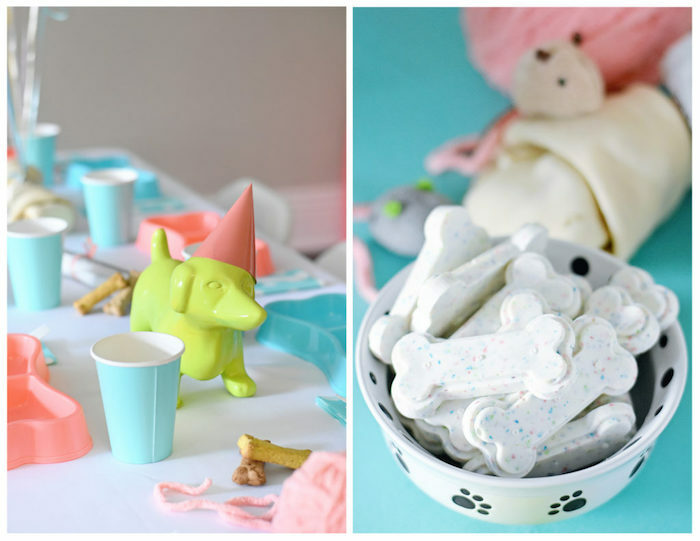 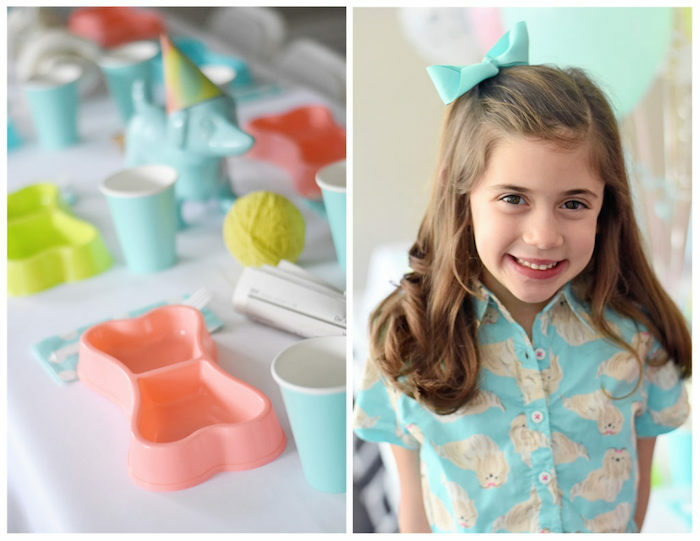 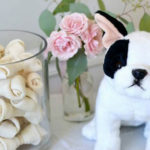 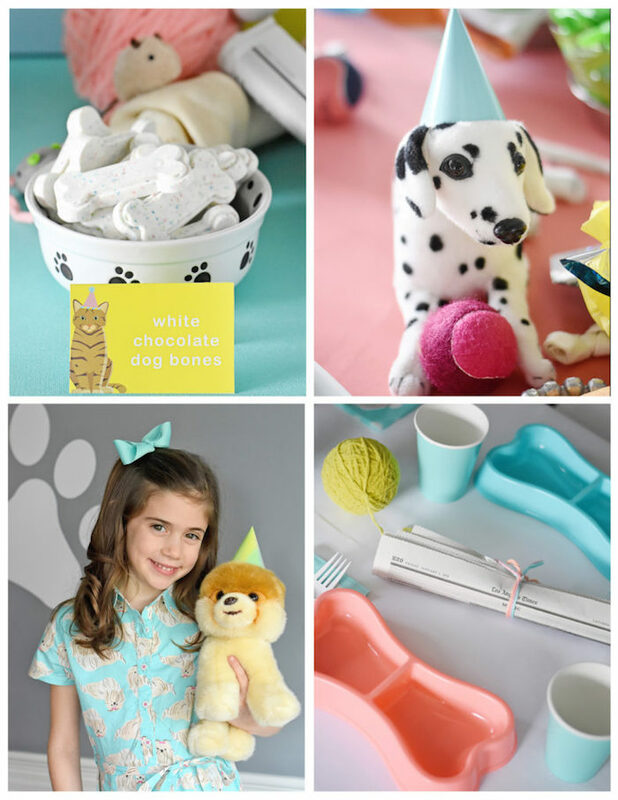 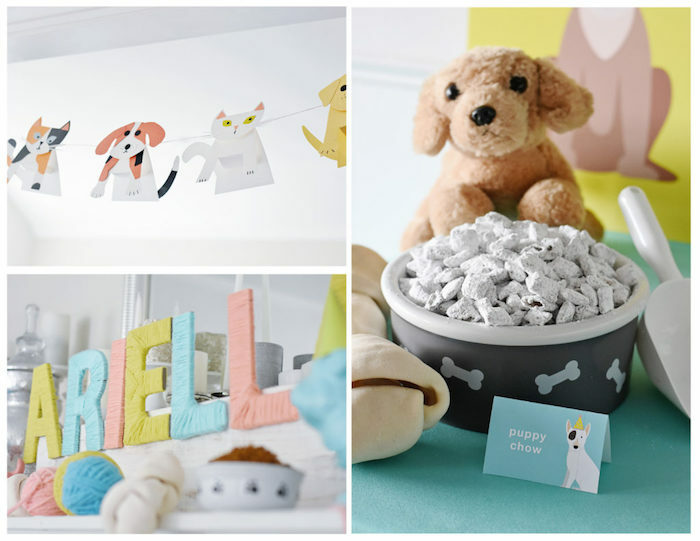 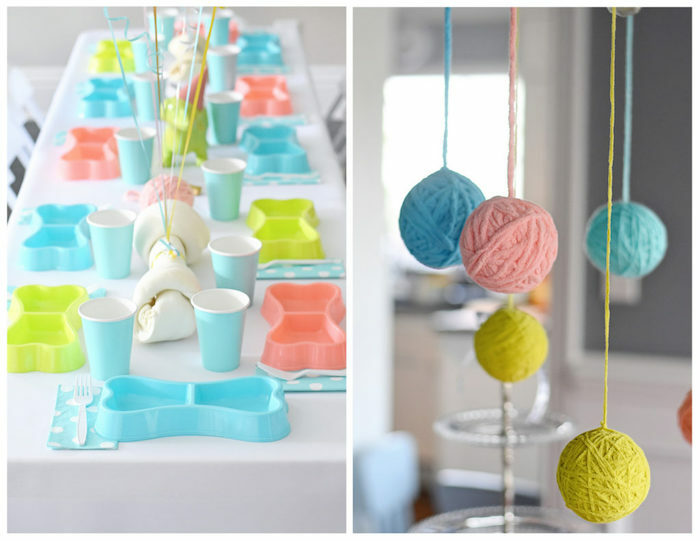 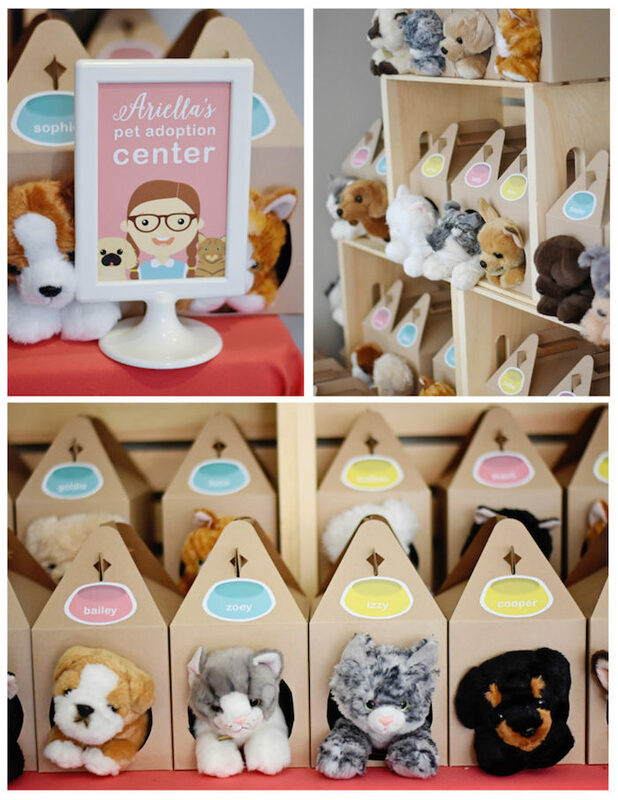 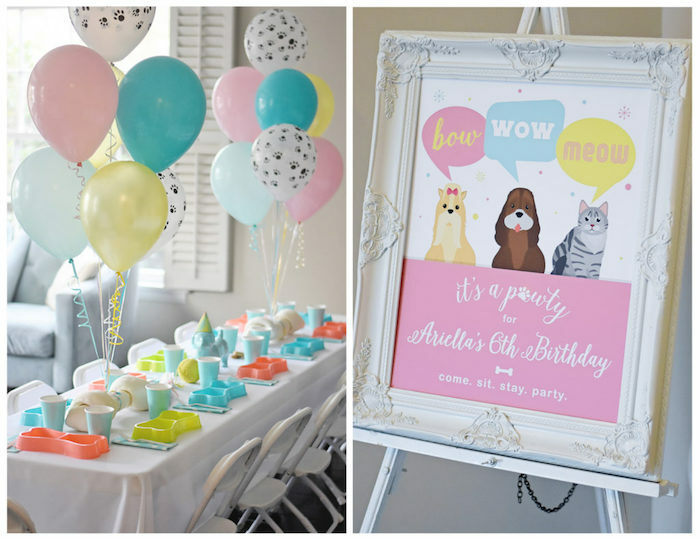 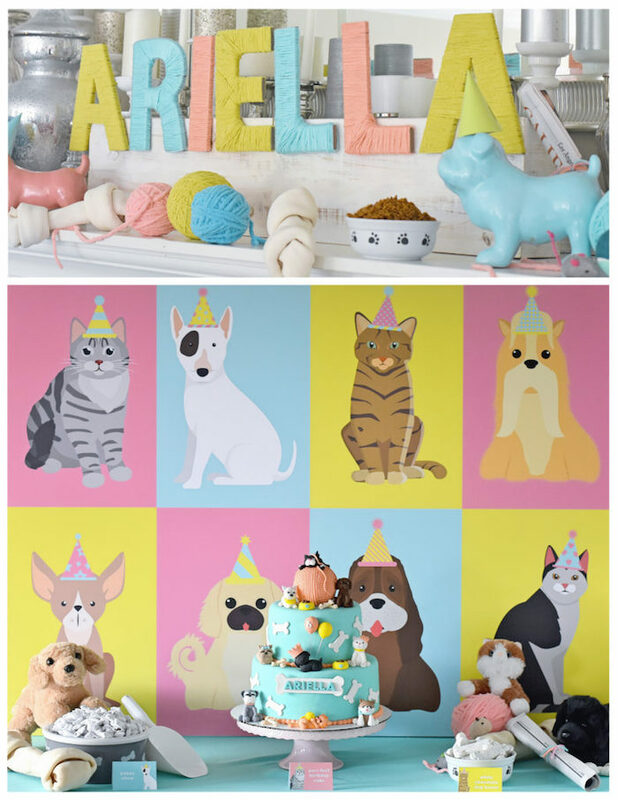 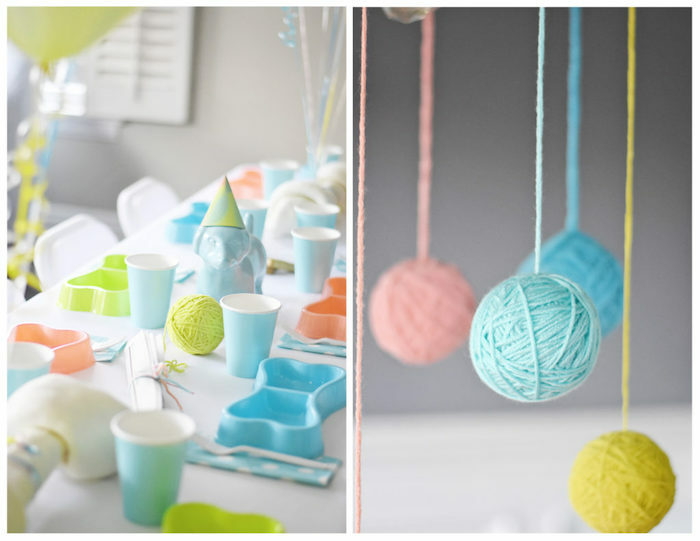 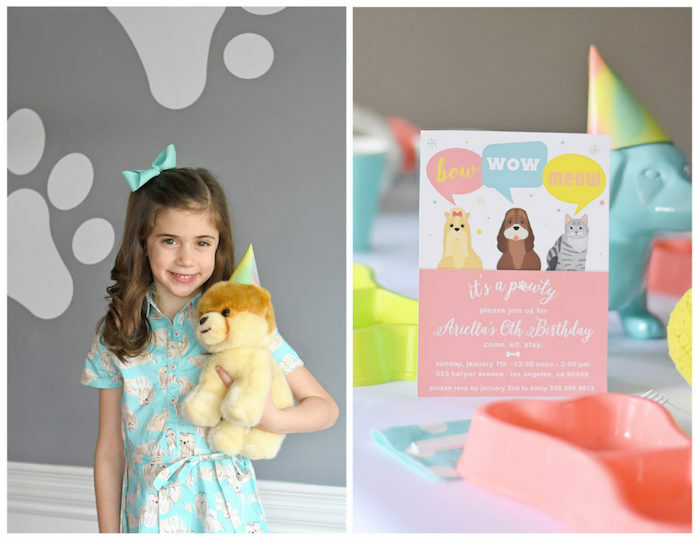 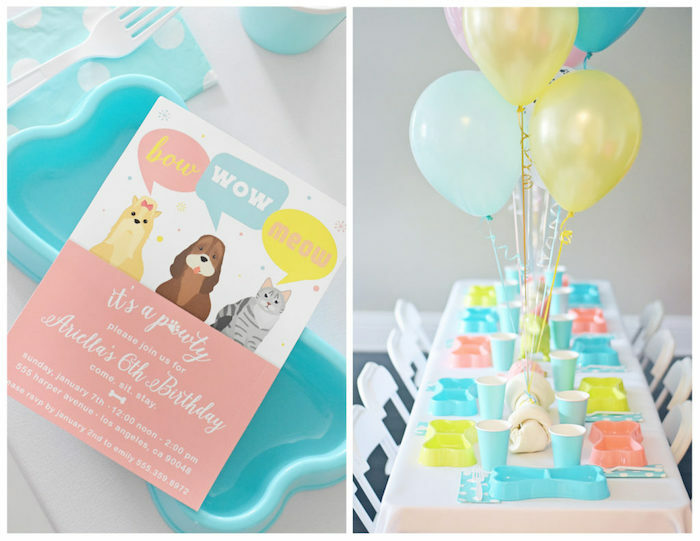 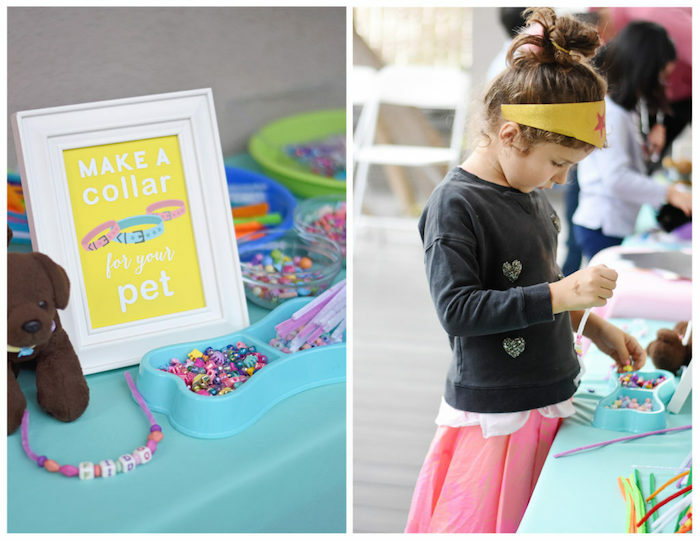 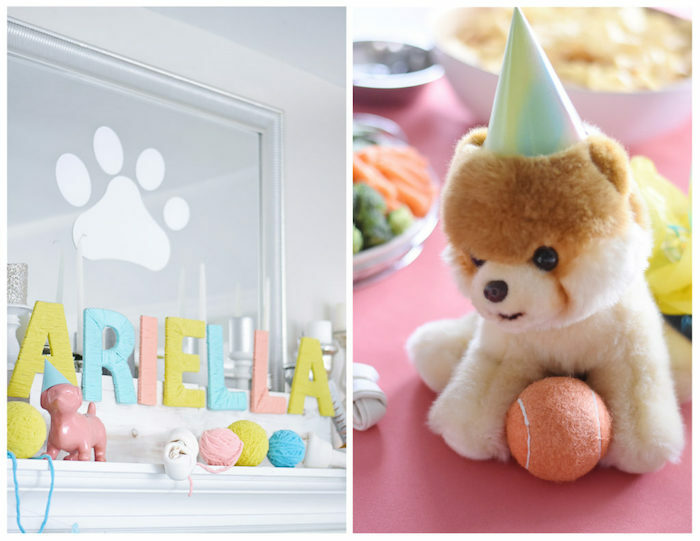 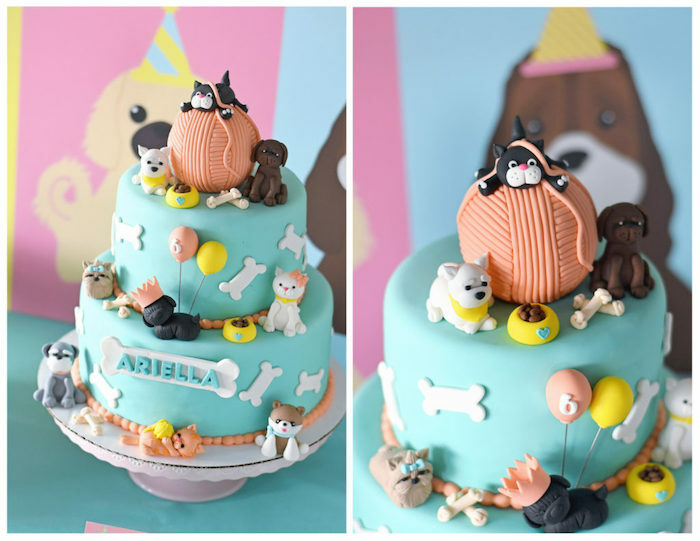 See all of the kitty and doggy party ideas we have here!